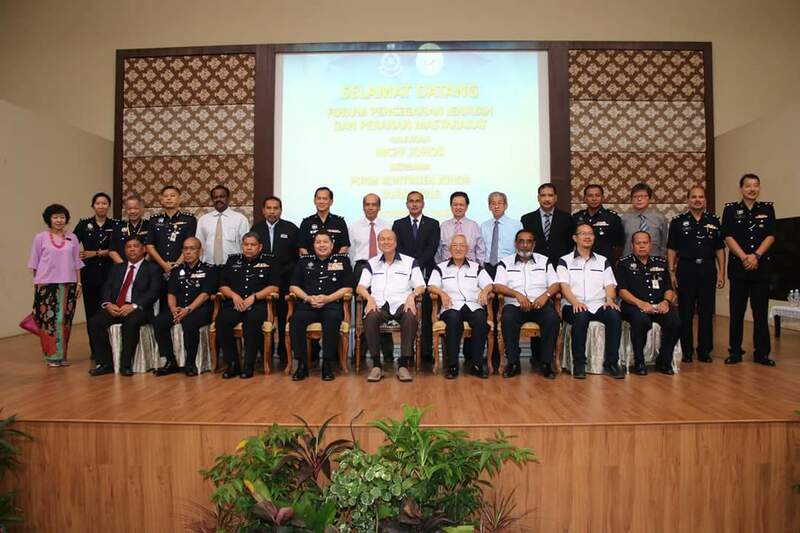 PDRM Johor and Malaysian Crime Prevention Foundation ( MCPF) Johor held a Crime Prevention Forum at Dewan Dato’ Onn, Ibu Pejabat Polis Kontinjen (IPK) Johor. 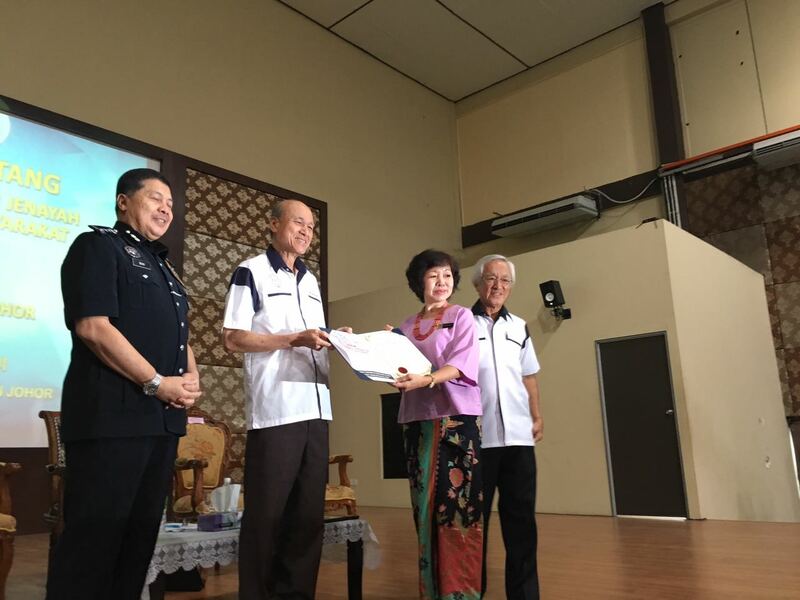 Tan Sri Datuk Seri Lee Lam Thye, Vice- Chairman of MCPF Malaysia dan Dato’ Wan Ahmad Najmuddin Bin Mohd, Johor Police Chief were the VIP guests. Letters of appointment to the 2016-2018 MCPF Johor Exco and district chairmen were given out in the presentation ceremony. 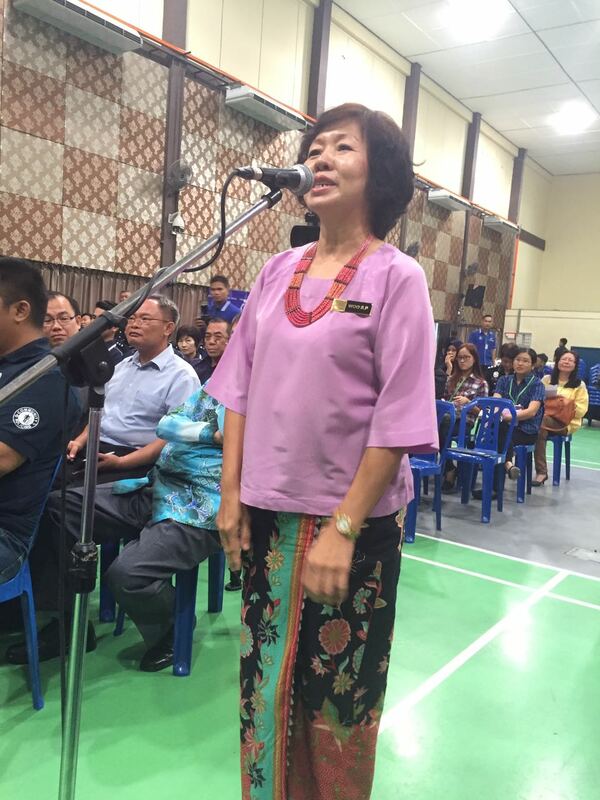 Our Jewel President, Woo Sow Pheng received her appointment as MCPF Johor Committee Member from Tan Sri Lee Lam Thye. 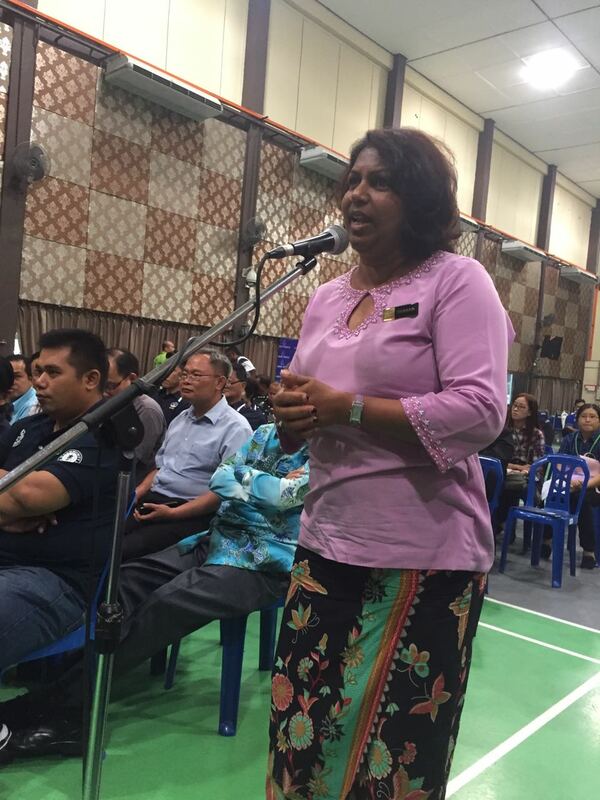 Jewel is proud to be able to work with PDRM through MCPF Johor in our crime awareness programmes for the community. Among the 250 guests present were Dato’ Mohd Zakaria Bin Ahmad, Johor Deputy Police Chief , Johor PDRM Department Heads , Officers-In-Charge of Police Department ( OCPD) , MCPF District Chairmen and their committee members as well as heads of local communities .